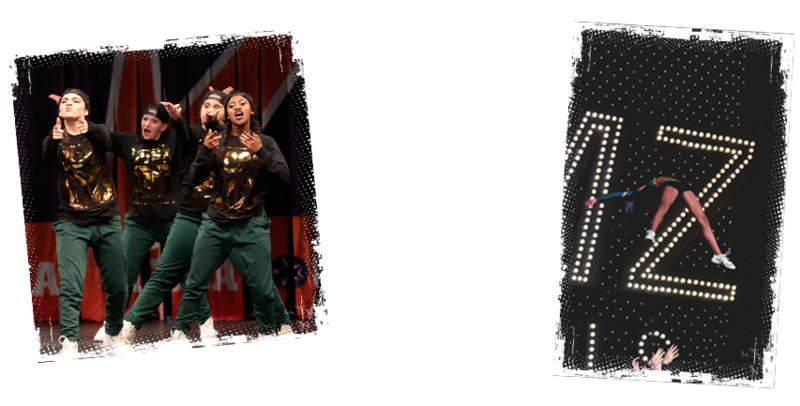 Gold Star Cheer and Hip Hop programs combine gymnastics, stunts, and dance in choreographed combinations that are then taken to competitions. What is unique about Cheer and Hip Hop is the team aspect. Students work to create amazing performance pieces and then compete together for team awards. Our staff promotes a family atmosphere in which every participant feels included and valued. These high-energy classes provide a gateway to our competitive Cheer & Hip Hop teams. Our upbeat and extremely talented staff teach a foundation of skills that will assist students in mastering our spring auditions, or simply as an introduction to the sport. Cheerleading classes teach game cheers, sideline dances, basic tumbling and stunting. Call for a free trial. Hip Hop classes combine street-style dance movements and tricks. Call for a free trial. Our Evaluations/Auditions for the upcoming Season 16 have been completed. If you are interested in joining one of our teams please contact the Program Director to schedule an audition. We have a team for everyone! Our staff will find a place for anyone who is committed to joining our Gold Star’s Cheer & Hip Hop program. With over ten squads and competitors ranging from 3 to 30 years old, everyone is welcome. We train beginner and advanced athletes – team members continue to grow and improve under our staff’s expert instruction. All of our competitive athletes commit to compete throughout California with the possibility of travel across the country. Practices, however, are scheduled to be reasonable so as not to overtax the athletes both physically and mentally – affording them time to balance the sport with their school responsibilities and family life. Throughout the year, many bonding events will insure that all members feel they truly belong to GSG. Join our teams and become part of our family. YouTube: GoldStarAllStarsTv. Click here to watch. For more information on our competitive teams, please contact the Program Director at ccordero@goldstargym.com.